Sinn just started to deliver their new EZM.7 and I got one of the first watches available. The EZM.7 with its colour-coded bezel is an easy to operate watch for people using breathing protection apparatus, like fire brigades or rescue services. The captive bezel can even be set when wearing gloves. If you want to learn how to use the functions of this watch, please have a look at the instruction manual by clicking here. Like many other Sinn models, the EZM.7 was designed for use in the most difficult conditions. It is especially resilient to the penetration of water and dust, resistant to scratches, changes of temperature and the influence of magnetic forces. 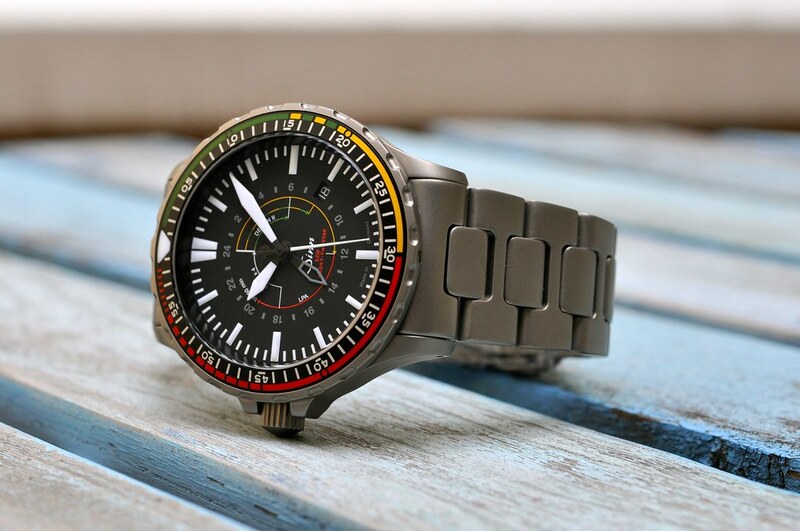 Besides all this and much more of Sinn’s in-house high-technologies, it’s just a very cool watch. 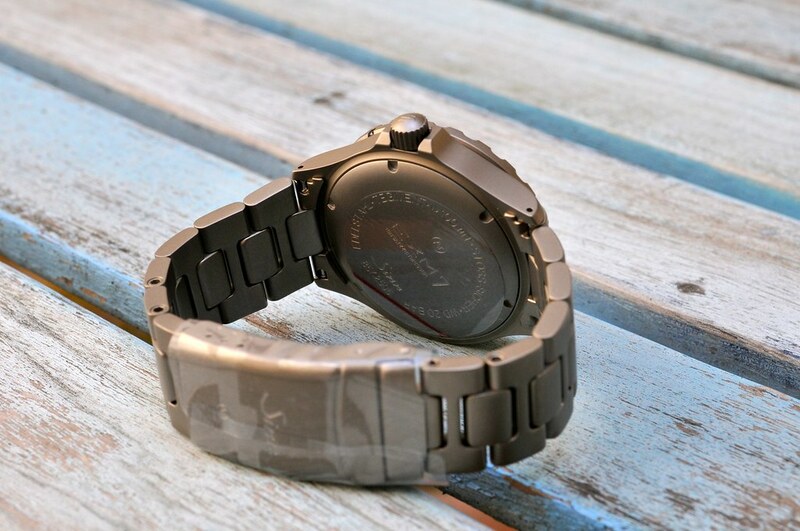 It’s heavy, it feels like a solid piece of metal and it looks handsome on your wrist with the neat bezel colors. The price of the Sinn EZM.7 on the (extremely solid) metal bracelet as shown here is € 1.885,=. Due to regional restrictions I have no possibilities to ship this watch outside The Netherlands. This entry was posted on June 29, 2011 at 12:00 and is filed under all, news, sold. You can follow any responses to this entry through the RSS 2.0 feed. Wow, that model looks fantastic! I’ll link to it tomorrow.